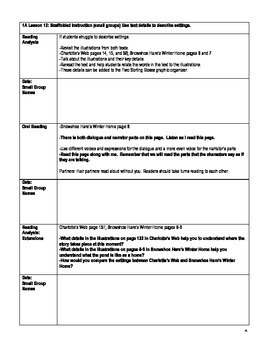 Also included is the Performance Based Assessment Lesson Plan. 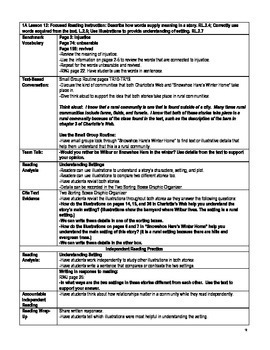 All of the parts of the reading and writing lesson. A section to include the students in your small group. A section to take notes or observations. 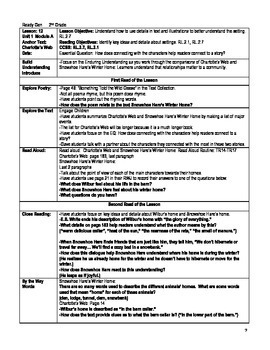 ***Revised for 2014-2015: Now each lesson includes Shared Writing. If you have previously purchased Unit 1 Lessons individually, and they are no longer uploaded, message me with your date of purchase, the lessons bought and your email. I will send you the updated lessons. Are you looking for some activities to engage the students. Check out the Charlotte's Web Interactive Notebook. 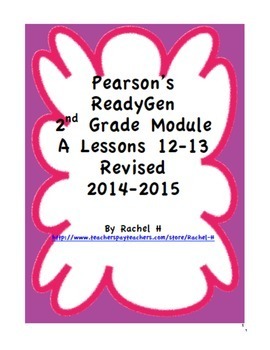 It is a great supplement to the ReadyGen lessons.